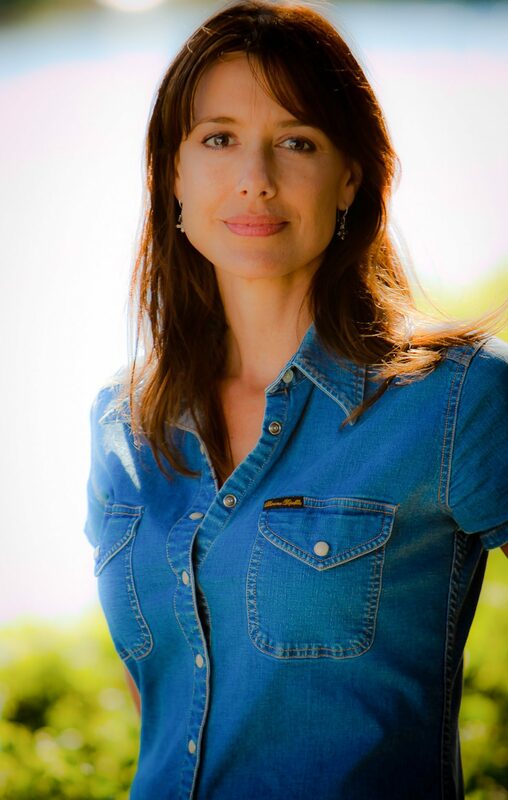 I recently had the pleasure of being introduced to Nicole Hansen by actress/writer/producer Camillia Monet (The Shield, War of the Worlds), who I will soon be interviewing for this particular column. Camillia spoke very highly of Nicole and she suggested that I immediately interview her and rightly so. Nicole wears many hats effortlessly in this industry and can impart a lot of good advice to our readers, so without any further ado, here’s my interview with Nicole. Nicole Hansen studied at North Carolina School of the Arts and Playhouse West. After winning a Marilyn Monroe look-alike contest, she was cast by David Fincher to play Marilyn in the Billy Idol videos, Cradle of Love and L.A. Woman. Nicole’s film acting credits include leading roles in American Cyborg, Soldier Boyz and Director Danny Cannon’s Strangers. She also acted and co-produced indie-films Tinseltown, Beyond the Ashes and appeared in Noise which were screened at the Tribeca, Austin, Montreal, Vail and Santa Barbara film festivals. She produced Save It, a global warming message created by 10 year-old director, Nikos Spiridakis with Executive Producer Marshall Herskovitz. The video starred Tony Goldwyn and 9 year-old Dimitri Spiridakis and it debuted on You Tube at #2 for non-profit videos. 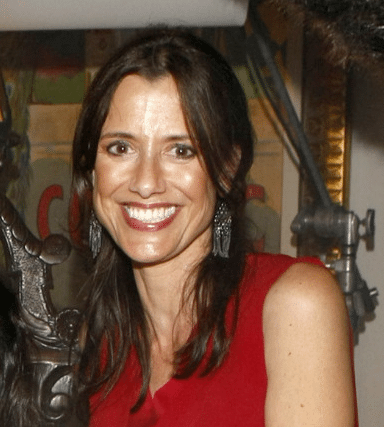 She is president and producer at Green Galaxy Enterprises. -How did you get your start in the entertainment business? Then I asked if it would get me my SAG card, and they said it would. So I quit my job, and was shooting the spot in Dallas one week later. From there I moved to Los Angeles and did Michelob and a Latino Certs commercials before going blonde and doing music videos as Marilyn Monroe. -What made you transition from acting to producing? When I got married to my ex-husband, Tony Spiridakis, my adoptive mother Becky and her husband, Jim Roser invested a million dollars with us to fund a movie. So we took a play that Tony had written with Shem Bitterman called Self Storage, which starred Ron Perlman and Joe Pantoliano, and turned it into a screenplay. I was pregnant at the time with my first son, Nikos, and couldn’t be the lead actress, so instead I produced, to keep an eye on my parent’s investment. I had worked at the American Film Market when I first came to L.A. years earlier and had a lot of experience as an actress learning the distribution business from the companies I had worked for, so I handled all the outreach for PR, festivals and to distributors once the film was completed. We went to the Montreal Film Festival and won a screenwriting award at the Austin Film Festival. When the film sold to Samuel Goldwyn Co., Sam had us tone down the dark humor and reshoot the ending. It was later released as Tinseltown. – “Save it” sounds like such an interesting project. How did you come up with the premise? My then 10-year-old son Nikos came up with the premise of Save It all on his own – I take no credit! He had the idea after he watched me pumping gas and heard all the sounds, and thought of what it all meant in his young mind. He was dead set on directing it too. When he told me the idea, I got chills, and he told me I could only tell it to people who could help him get it made. I called my friend Marshall Herskovitz, a writer/producer who did Blood Diamond and Last Samurai, and he ended up executive producing. I produced, and my son funded it with his own money. He told his godfather Tony Goldwyn the idea, and it totally became a family affair, with Tony playing the dad and Nikos’ little brother (my youngest son) Dimitri playing the son. Marshall even had a behind-the-scenes video made, called The Making of Save It. -What are your upcoming projects? I have a mobile app game that I’m executive producing. I also have a number of film projects. Among those I can mention here is based on two small town reporters who wrote the New York Times bestseller American Terrorist, about the worst homegrown terrorist in U.S. history, Timothy McVeigh. It’s the reporters’ dogged commitment to uncover the truth of All the President’s Men up against the chilling reality of The Silence of the Lambs. It becomes even more compelling as the reporters learn that Timothy McVeigh had a “normal” American upbringing. They face the chilling reality that only by probing his story can they find out what turned him into this homegrown killer and how and why it could happen again. That’s why it’s an important story to tell. I also have a multicultural darkly comic thriller called, Lately by Seinfeld writers, Peter Mehlman and Bill Masters. The other is a teenage Thelma and Louise with a Latina girl as the protagonist called, Big Hope written by Michael Nash. -Given all experience in various facets of the industry…acting, producing, writing and consulting, what advice would you give our readers? I’ve done lots of different jobs: a PA on music videos, a producer’s executive assistant, and I’ve also done coverage on screenplays. I’ve even had my own management company working with screenwriters – I have a long history with them, and if you want to produce, you need those relationships, because you can’t produce if you don’t have access to good stories. Then you need access to directors, actors, agents, money and distributors! So anything you can do to get your foot in the door, no matter how beneath you it may seem, may really pay off in relationships someday. Vida G. is a multi-talented performer that is active on the Tinsel town scene as an actress,voiceover artist and a reporter. Vida recently shot a supporting role in Savage Cinema’s campy horror flick,”Pond Scum,” directed by legendary indie Aussie filmmaker Mark Savage, who has also cast her in a major supporting role in his upcoming thriller called “Circus of Dread” starring Bill Oberst Jr. Vida recently voiced two characters in an animated film called “Lovesick Fool” created by Emmy-nominated director Dominic Polcino (“The Simpsons,” “Family Guy,” and “King of the Hill”), which stars Fred Willard, Lisa Kudrow, and Janeane Garofalo also voiced roles in this film. “Lovesick Fool” is hitting the festival circuit and has won first place at the Topanga Film Festival and LA Arthouse Film Festival. It has also screened at the Burbank International Film Festival, the Manhattan Film Festival, and the NYC Independent Film Festival. Next Article Are You Secretly Sabotaging Your Acting Career Out of Fear?